Our resort is conveniently located in the Paso Robles wine region. Here, guests can choose from RV camping, one and two bedroom cottages or our unique chalet rentals. Activities are boundless and events are held in our wine garden with live entertainment, dancing, wine tasting and outdoor movies. We’re also centrally located within walking distance of the Ravine Water Park, and only a short drive away from the famous Hearst Castle in San Simeon. You can also enjoy local boutique shopping, fine dining, wine tours, championship golf courses, craft breweries and much more. Each of our RV sites provides the perfect combination of comfort and convenience to make your stay a truly enjoyable one. Spice up your vacation! Our unique rentals offer a once-in-a-lifetime chance to make your vacation experience truly memorable. 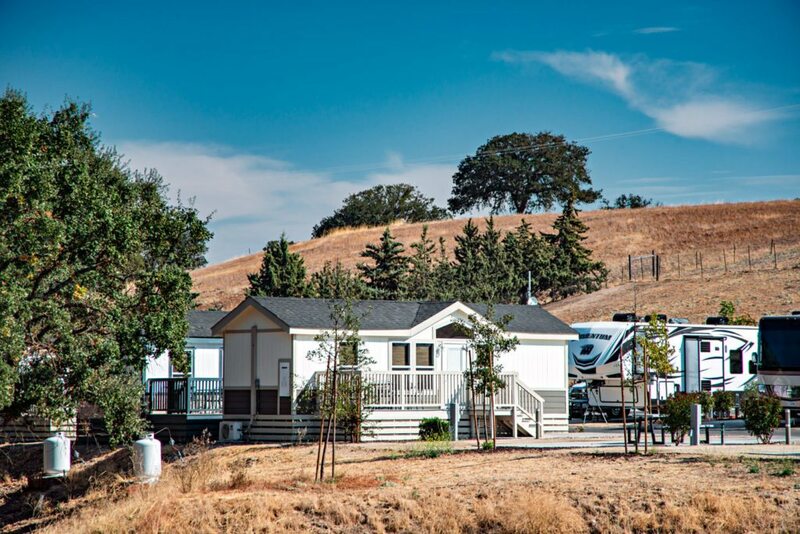 Wine Country RV Resort Camping Resort is your home away from home. We offer two rentals types with all the amenities you need for a comfortable, enjoyable stay. Stay and Save in the South and Southwest! 25% off daily and weekly stays at participating Texas and California resorts! Looking for things to do and places to visit near Paso Robles, CA? Check out these great local attractions and more!